Physical activity has proven to be beneficial to students and their academic achievement. 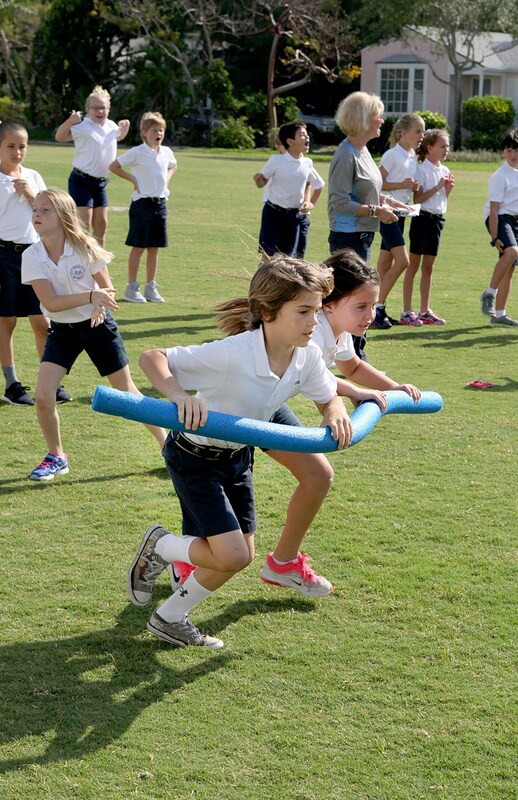 The Lower School physical education program provides a strong foundation in fundamental motor, ball, manipulative, and rhythmic skills. Conditioning and a healthy lifestyle are also stressed throughout the curriculum. In addition to physical skills, primary goals of the physical education program are the development of team work, sportsmanship, and social and problem-solving skills. Students are expected to understand and follow directions. Self-confidence and a positive self-image are also important goals of the program. Once the foundation for skills is established in the Pre-kindergarten Division as well as First and Second Grades, more complex challenges and the application of skills become the focus of P.E. classes. The curriculum becomes more structured as the children get older. It is often cross-curricular and reinforces many core content areas. It is divided into two or three-week units based on a building block concept so that children can develop systematically with the program. They continue to work on previously learned skills and begin to use them in lead-up games in Grade Two and then in sports such as volleyball, soccer, basketball, hockey, base games, and lacrosse in Grades Three and Four. These experiences prepare them for the required participation in team sports in Middle School. Effort and a positive attitude are necessary to achieve optimal results in P.E. and active participation is both expected and encouraged. Students are assessed three times a year on basic physical skills, specialized skills, cooperation, and social behavior.